It was bound to happen sooner or later, but we are finally starting to use our YouTube channel! At the current moment, we only have a single video up. A single video we recorded at GenCon 50…seven months ago. Still, it is progress. Our first recording is a quick unboxing video for the amazing game Campy Creatures, featuring guest gamer Kristina. Hopefully we’ll be doing more videos, and maybe live-streaming, in the future. Comment below what kind of videos you’d like to see, be them unboxing, Let’s Plays, or even deck profiles. So until next time, keep your dice warm and happy gaming. That’s right, ladies and gentlemen. Late Night Players will be attending GenCon 2018! Really not more to say beyond that. We’ll hopefully be doing some recording and what have you onsite this year. So if you’re going to be at the show this year and would like to play some games with some kickass people, hit us up! Until then, keep your dice warm and happy gaming! Archer, like every edition of Love Letter, places out simply enough. Each player is dealt 1 card and then 1 card is removed from play. Each turn, a player draws a card and then plays one of the two cards in hand. Each card has an effect, one that can either aid you in putting another player or aid in protecting you from another player. 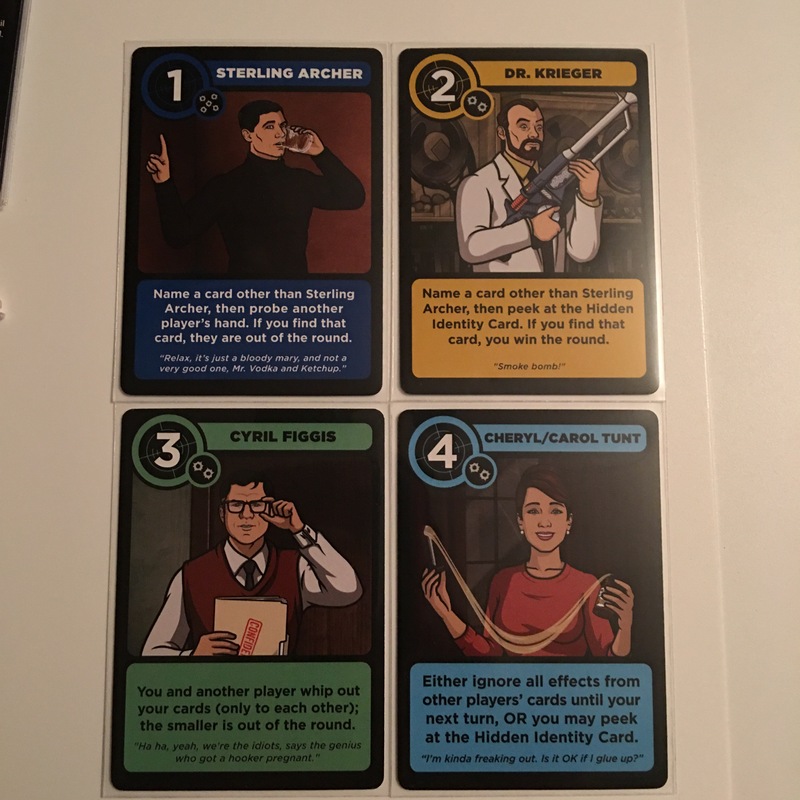 The goal is to simply knock out your other opponents and be the last player standing, or at least the last player standing with the highest numbered card (in case of a tie). Win the round, recieve a point token. Rinse and repeat until a certain number of points has been reached. Since being released in 2012, the core game mechanics has been identical in every rendition of the game. Save for a small change here or there, such as the Premium Edition being up to 8 players, nothing has changed. Some have equated this to being the boardgame industry’s equivalent to shovelware (annually released software in the videogame industry), arguing it offers to real merit. I’d disagree. The Love Letter mechanics make it an ideal pocket game. At some point or another, a boardgamer will have played Love Letter. With that in mind, a player could throw this game into their backpack or deckbag, get in out, and just play. Even when playing this game with random strangers while in line for something at a convention, I think I’ve had to explain the rules twice. There are three components that make up a Love Letter game: cards, tokens, and bag. Outside of the character screen grabs, each card sports a unique color and set of bullet holes under their number. The colors have a 1970’s feel to them, while the bullet holes serve a purpose. Each set corresponds to how many of that card there are in the deck. 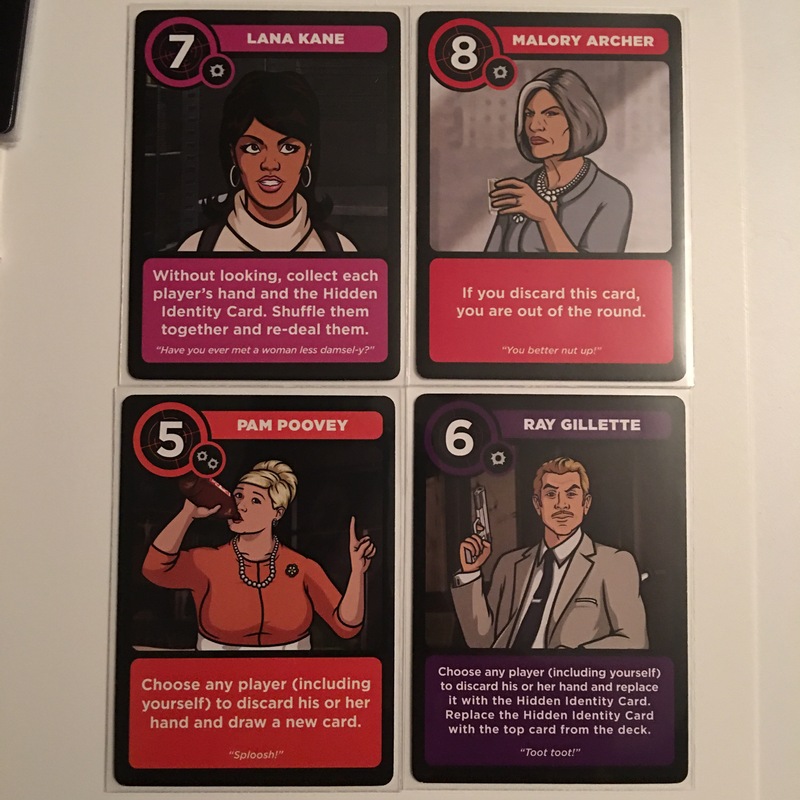 Sterling Archer has 5 copies in the deck while there is only 1 Lana Kane. As far as the quotes go, I’m a little conflicted. They have no other purpose than flavor text/fluff, with no impact on the game whatsoever. Therefore, they are good. On the other hand, I’m a huge fan of the Archer series and can think of a dozen quotes more iconic than what they did use. 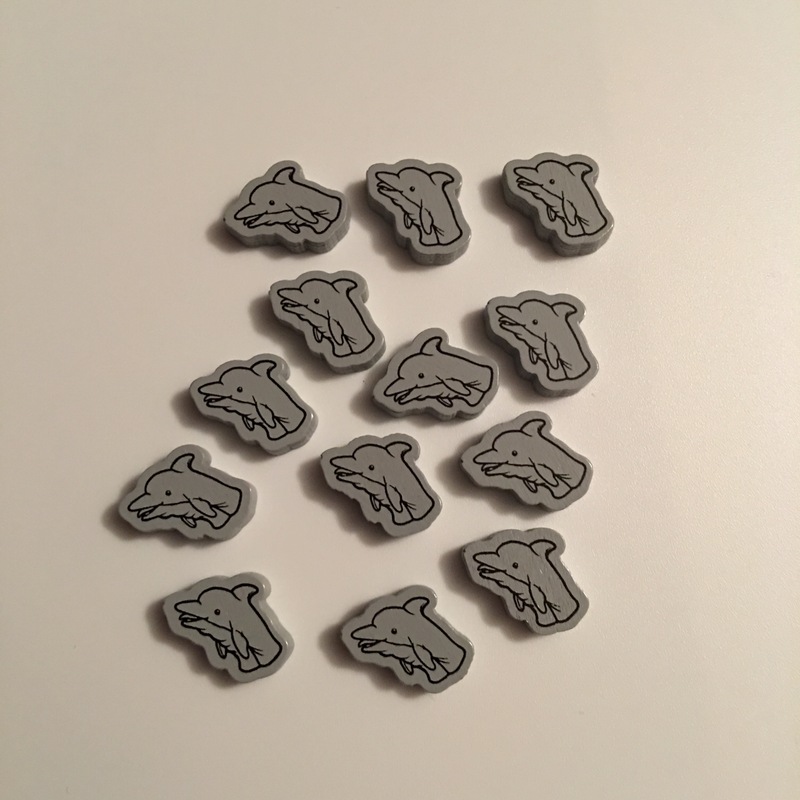 Next, the tokens. Every game of Love Letter uses some sort of token to keep track of points. For the classic edition, it used simple red blocks, while the Batman edition used little Batman symbols as tokens. For Once You Go Blackmail, an iconic prop from the show was used: Pam’s dolphin hand puppet. Seriously, these things are too damned adorable and classic. I almost want to but a few more copies just to replace the tokens from the other games with these. Finally, we have the draw string bag. 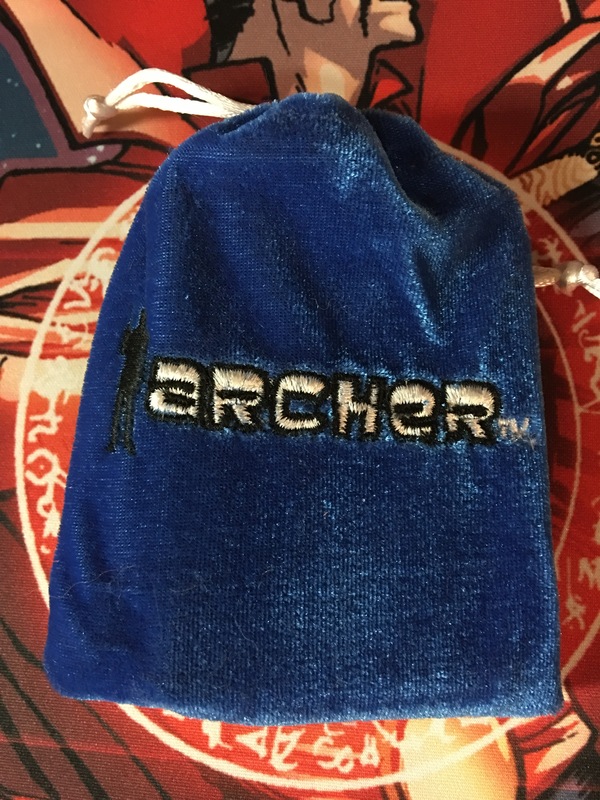 For the Archer edition, they went with a simple blue with the show’s title logo. That’s really all that you can say on that. Even though this is my 6th copy of Love Letter, I rather enjoy this edition most of all. Stylish presentation (though not a fan of all the quotes, albeit) and great source material make it a game that I’ll happily throw into my bag and take with me to game night or conventions. Granted, some people may be perfectly fine with a singular copy of Love Letter in their collection. However, at a cost of $10, there is nothing wrong with having a couple different themed versions for different occasions. So this game is…LATE NIGHT PLAYER APPROVED! “Pocket Reviews” are reviews of quick, simple games with little to no foot print. These are the kind of games you’d throw in your backpack and take on a trip, to school, or to play while waiting in long lines at a convention. The newest trading card game (or TCG) from Bushiroad, Luck & Logic is a game that allows the player (or Logicalist) to defend their 6 circles/gates by combining their strengths with that of the Foreigners (Gods/Goddesses from another plain). This combined power called Tranceunion is what the players will pilot to victory. From the Luck & Logic wikia, this is an overview of one player’s side of the board. Taking what seems to be the best elements from across their varied portfolio of titles, Bushiroad has created a game that is poised to take the North American trading card market by storm. The game is selling insanely well overseas, with starter decks and booster boxes sold out in a number of markets. It has a fantastic, if not slightly flawed, anime as a multimedia marketing push. The game hasn’t even been released in English yet, and already players across the country have built translated proxy decks to test and teach the game. When the game finally does release in North America and other English language regions, I can’t help but wonder if this game will be as big of a hit, if not bigger, than anything else Bushiroad has published to date. The game is scheduled to release in English this summer, I’m assuming just in time for GenCon. While it pains me that our brothers and sisters overseas, or those skilled enough in Japanese, will be two sets deep (with three starters/trial decks) before we are blessed with just one, I can’t help but also feel excited. This shows that Bushiroad is putting a lot of thought, time and resources into Luck & Logic. So many times, I’ve gotten into a game because of a game mechanic or an IP only to have the publisher discontinue it after a few expansions. This is doubly true with games from publishers that don’t actually own the IP their game(s) are based on (Score and Yu Yu Hakshusho TCG). With Luck & Logic, Bushiroad owns the game and the IP. It’s a win/win. So as 2016 finally starts getting into full gear, I felt the need to share what is my #1 most sought after game of 2016- Luck & Logic! Let me please preface this with stating that this was not what I wanted my first article back, or of 2016, to be about. I had planned a year in review, as well as a challenge article, well in advance of this. However, recent conversations, market trends and general befuddlement has led to this being both of those things. For the better part of the last decade, I have been a proud hobby gamer. Prior to 2005, I was a hobby gamer to lesser degree as I was in high school and on a budget. My games at the time were mostly trading card games like Poke’mon and Yu-Gi-Oh! but miniatures squeaked in with the launch of HeroClix. As time went on, work and life kept me from really doing much with it. Then on Free Comic Book Day 2012, I found myself being slowly pulled back into HeroClix. Since then, I was head first back into hobby gaming. I took over as event cordinator for my local comic shop for all WizKids’ events. I began branching out to other game types, moving from just strictly card games. I’ve even made it out to GenCon for the last two years in a row, with plans for the 2016 trip already in the works. In that time, I’ve seen quiet a few things catch my eye about what there is to love about this hobby. There have also been a few things to dislike, and possibly even hate, about it as well. One of the worst has been this war raging not so silently in the background: local retail vs online retail, namely the average player’s role in this war. Brick and mortar stores have always had a special place in many fans’ hearts. Not only are they the place to buy their games, they are also the home of memories that are cherished just as much as the games themselves. I know I have personally met some of my closest friends through my local store. We’ve bonded over many a games, both casual and competitive. The stores are also were we might demo a game and fall in love with it, thus equating the two for many years to come. It is in those memories and love that we do our utmost best to support those stores. However, in the last few years, a new player has entered the field: online shopping. Gone are the days were a player would have to go into a store, order it through a third party and patiently await it’s arrival. Gone, too, are the days of having to pay full retail for a title. Now a player merely has to log onto their smart phone, go to one of a dozen various sites (out of hundreds) and order their game of choice. It will be delivered directly to your doorstep, usually with free shipping and at a fraction of the cost. The player never even had to go to their favorite store to get the game. It becomes even more of a savage wasteland for our stores when a game is launched via KickStarter. With so many publishers using the crowdfunding platform to finance their games, it has become a glorified preordering system with the magnitude of stretch goal and exclusive content. This ties up a sale for the game months, or even years, before the game hits retail shelves. A game initially launches the traditional way and a store sells x-copies of the title, but then it’s sequel/expansion launches and they order an equal amount (or more depending on popularity) but the majority of their customers get the KickStarter version in favor of all the extra content for the same cost. Now they are sitting on product they may or may not sell through. What are our favorite brick and mortar stores supposed to do to combat this? Well, judging by a lot of message boards, KickStarter rants and online commentary, they are combatting it by blaming the customer. Instead of focusing on ways to combat this rise in online shopping, many shop owners have taken to passing the buck off on the customer. They rant and rave about customer loyalty and feeling betrayed whenever one of their regulars come in with a game that wasn’t bought at their store. They cite that the store space is offered to the customers as a curtsey and as such we should support them, regardless of how much they charge. I’ve seen some retailers go as far as to publicly shame their client base to the extent of claiming that every lost sale to an online retailer or KickStarter is money out of one of their employees’ pockets, less food for their family, and so on. My personal favorite is when they claim it is a personal attack against them because we should support them regardless since they are local or privately owned. First, lets put all their ranting to the side and look at it for what it is. Brick and mortar stores have much more overhead (employee costs, utility bills, rent, ect) than most online stores, forcing them to sell at MSRP. Most online stores operate from a warehouse that may or may not be privately owned with fewer overhead costs, which in turn allows them to buy many things in bulk at a discounted cost from the manufacture/publisher. That allows most online stores to sell product at a fraction of the cost. That is just business basics. However, caught in the middle is the average gamer with two finite resources that affects every purchase decision they make: time and money. The fact of the matter is that, regardless of found memories or the love of a game, consumers have to do what is best for them and their resources just the same as a shop owner must do with theirs. We work hard for our money and have to spend it wisely in the hopes of getting the biggest return on investment. And that’s what a lot of these games are: an investment. With some titles getting up in the hundreds of dollars, you want to make sure that the first thing you feel when you open up that game box for the first time is joy, not buyer’s remorse. The problem is that some retailers don’t realize this, even though they are consumers themselves. Lets use Star Wars: Imperial Assault from Fantasy Flight Games as an example. It is a lovely game, a must have for anyone’s collection. The base game is MSRP $100, though. You do get a lot for $100, though. Out of the box, you have just enough stuff to do a 4-5 player scenario game or a 2 player skirmish game. Great options, but will get old after several playthroughs. And given the cost of this game, it is a multiple playthrough title and not one you’d play once and place on the shelf. Luckily Fantasy Flight has us covered and released two expansions so far in Twin Shadows and Return to Hoth. …Return to Hoth was a big box expansion, with components more in line with the base game’s release. Both are fantastic expansions players a considerable amount of contents. Both, however, will set you back another $100 combined. And if you want to play with the famous characters from the movies, like Han Solo, Boba Fett or Princess Leia? Those are all stand alone add-ons ranging from $9.95-$19.95. Just sticking with the base game and it’s two expansions, we’re at $199.85 before taxes. And if you’re an average gamer, $200 can be a month’s (or several months’) gaming budget if you bought at a retailer that offered no discount or loyalty program. Online, however? Amazon has all three for $151.34 with free shipping. That is nearly $50 in savings that you could save for another game or purchase the named heroes to flesh out your Imperial Assault gaming experience. Now, if it were me, I know what I would do. Would I love to support my local store with 100% of my gaming purchases? Absolutely! They deserve it just as much as anyone. The problem is that I work a dead end retail job that only allows me so much I can spend on different hobbies. As such I am forced to do what is best for the value of my money. In the case of Imperial Assault, I’d have to buy the core game and expansions online and probably take the $50 I saved to my LCS to buy the named character packs. In the end, however, there is a lot of blame to be had but there is no right place to put it. Retailers shouldn’t be blamed for trying to run a business. They do have families and employees to think of. On the opposite end though, customers shouldn’t be blamed for trying to do what is best for them and theirs either. With bills, families and other responsibilities, a gamer only has so many resources to spare and spend. After all, regardless of our individual gaming background, we’re all playing the game of Life. Another week, another Dragon Ball Z tournament. This week I ran an updated Namekian Piccolo build, modified after my 2nd place finish at last week’s International Tabletop Day event. This was a more Energy Aggro build with emphasis on Dragon Ball victory than my build. Unfortunately, in the battle for the soul of Namek, I lost. This match had me concerned as, by the second combat, he was able to get Tien to Stage 3 with little effort. After a little Dragon Ball juggling, I was able to knock him back down and deck him. My buddy David was my opponent this match and the last time I fought his Saiyan build, he almost had me but we had to call for time. I was smart this time, however, hitting hard and keeping as much in my deck as possible. Pulled it off with a Dragon Ball victory. This one was over quickly. I hit 4 out of 5 Crushing Beams and banished all of the Trunks cards with Special Beam Cannon. With a score of 3-1, I was able to get into the finals. It was me versus the player that beat me Round 1 in a best 2 out of 3 match up. For what it’s worth, it was a good game. It wasn’t as easy a fight as the first time, I went down swinging. He won the first match though MPPV. I won match two by MPPV. He then won the third through MVVP. I ended up winning four boosters (netting another Crushing Beam and a foil Nail’s Heritage), alternate art promo Frieza’s Supernova for participation and the alternate art Black Scouting Manuever for 2nd place. 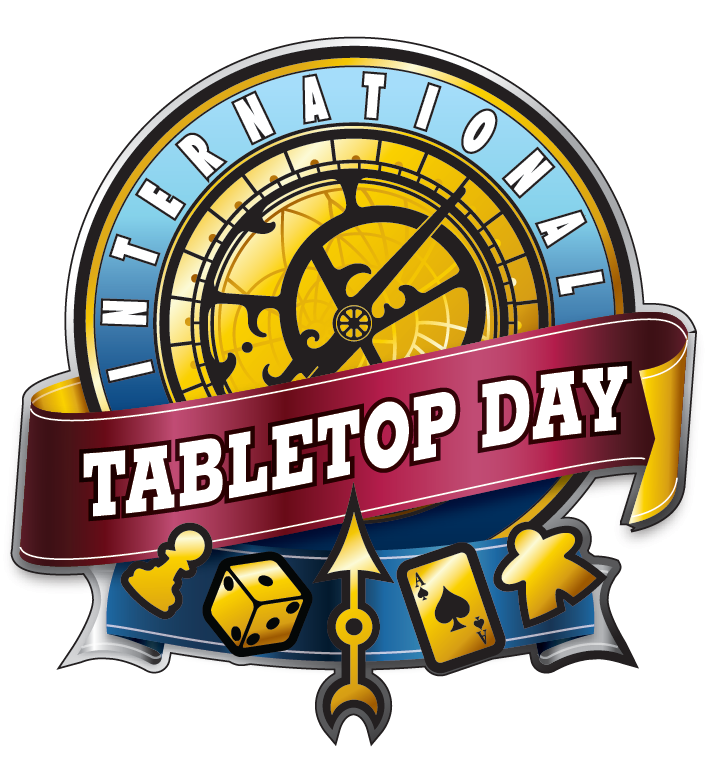 This Saturday is International Table Top Day 2015. I’ll be at the usual hang out, Comic Quest in Evansville, Indiana. I’ll be hosting several demoes and events around HeroClix, Dice Masters and Attack Wing (both Star Trek and D&D). I’ll also be participating in a constructed Dragon Ball Z event. I am still debating between Namekian or Red. I’ll have to feel the crowd to see what gets played. Blue Ginyu or Why I Feel So Dirty. I had today off. No work. No plans. No events. Just a day to myself to do what I please. What do I do? I build a new deck to play test with and against. What deck do I choose? Why the only deck type I’ve yet to ever beat in an official tournament setting: Blue Ginyu. I hate it so much. It requires absolutely zero skill to pilot. I’m sorry if you are a fan of the deck type and are offended, but it’s true. At least with Black you have to have a good working knowledge of the cards most likely found in most decks. Orange requires reading the board constantly, knowing what each of your dozen or so Drills do and how they interact with one another. Namekian is about maintaining a rejunivated discard pile and balancing your power levels for the various energy attacks. Blue Ginyu? Get your allies out to fight the battle for you. Thematic? Yes. Powerful? Absolutely. Fun? Not so much. I digress. I wanted to try something completely different than the various variants to Namekian I’d been running the last few months. I get why it’s popular and why it wins. I do, I really do. I just don’t think it’s for me.